This incredibly soft, hand spun merino wool is a chunky single ply that is soft as a kitten, machine washable, and in luscious colors that work with their bamboo yarn, or the brushed mohair as well. 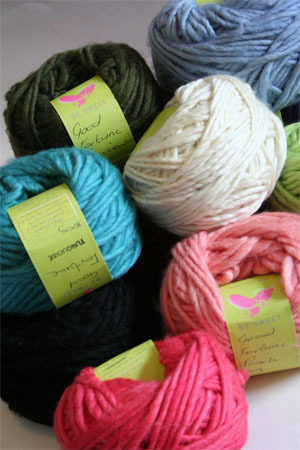 Fabulous for snuggly cowl projects or chunky sweaters. 100 Grams/62 Yards 11 st and 17 rows = 4"